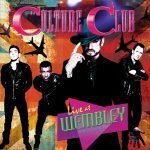 For this very special hometown show, all four original band members—Boy George, Jon Moss, Roy Hay and Mikey Craig–reunited for one final show together at the historic Wembley Arena in London. SKU: CLO0728VL. Categories: Cleopatra, Double LP, Pop, Vinyl. 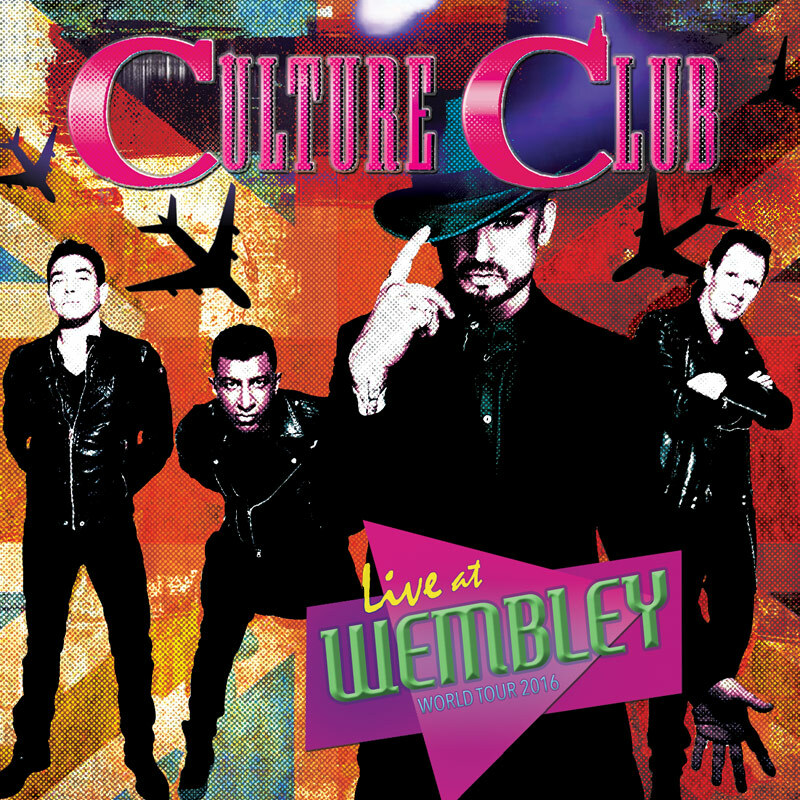 Rock Fuel Media is excited to announce the release of LIVE AT WEMBLEY from multi-Platinum and ‘80s icons CULTURE CLUB. 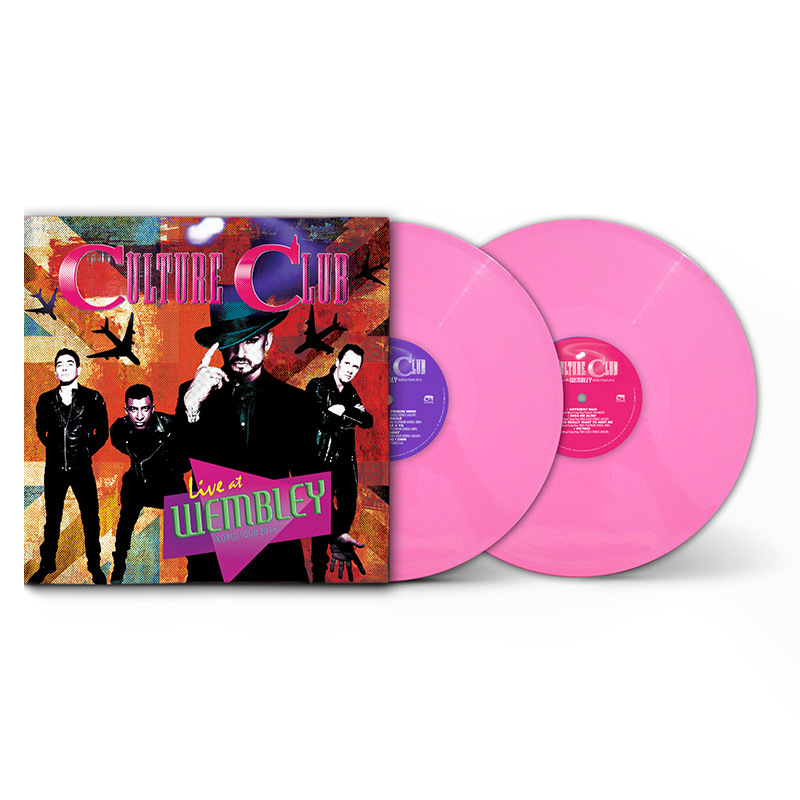 A state-of-the-art DVD, Blu-Ray, CD and Vinyl package, is out December 8 and will be distributed by Cleopatra Records. The concert will be broadcast on TV in 2018, details of which will be announced soon. LIVE AT WEMBLEY showcases why CULTURE CLUB’s unique pop, soul and reggae styles resonate with fans 35 years after the 1982 release of their KISSING TO BE CLEVER debut album. It was produced by award-winning producer, Barry Summers of Rock Fuel Media (Guns N’ Roses, Smashing Pumpkins, Jane’s Addiction, VH1’s Decades Rock Live Series) and directed by Mark Ritchie (Madonna, Kanye West, Jane’s Addiction). 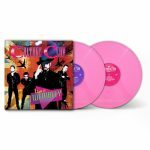 Special Features include exclusive interviews and behind-the-scenes footage with the band members as they discuss their illustrious career and the significance of this hometown iconic live performance.